This was a very hearty option on the menu. The lamb was tender and tasted good. Don’t know if I’d order this again though because it was almost too big for a meal of sharing small plates. 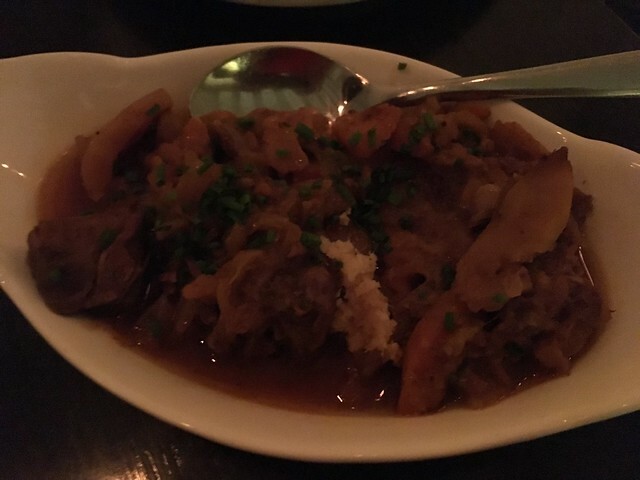 This entry was posted in Ambar and tagged Balkan, food, lamb, stew by vicentesf. Bookmark the permalink.